Come one, come all — kids especially welcome! On Sunday, October 8, from 10:00 a.m. to 4:00 p.m., local treasure hunter Kelly Johnson will comb the depot’s grounds with a metal detector for buried treasures. Drop by anytime to see what he finds! We’ll build up a temporary display as the day progresses and I’ll be on hand to show off recent improvements within the building. Free lemonade as long as it lasts! Click on the image to read the flyer. 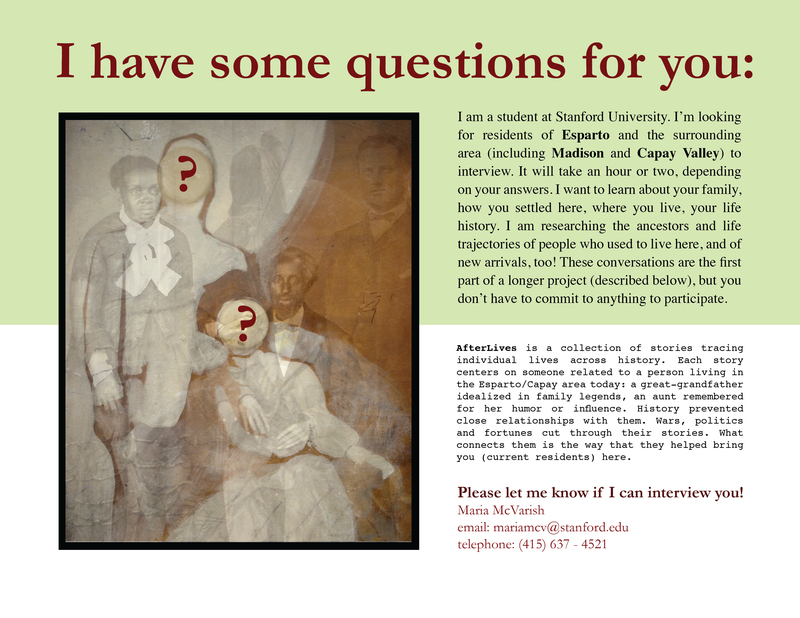 I invite anyone and everyone to participate in my doctoral research by meeting and talking with me. Click on this flyer to read more about it. Let me know if anyone has ideas about where I should be putting up printed copies, to reach people who don’t track this blog… Thanks! Don’t forget to come to the depot this Saturday, March 23, from 3 – 5 p.m. to talk about the future. Spread the word!